What's in the Box: TV, remote controller, battery, wall mount and user manual. Take your home entertainment to a whole new level with the TCL Television. Take your home entertainment to a whole new level with the TCL Television. Featuring a full HD display with a resolution of 1920 x 1080, the TV offers stunning visuals and wide viewing angles. The built-in sound system provides exceptional audio at high volumes. You can connect this TV to a range of devices with HDMI and USB. The efficient remote control allows you to change all the settings from the comfort of your chair. The TCL 24B2500 24 Inch Full HD LED TV has the capability of taking the user experience of entertainment to a different level altogether. Stunning visual and crystal clear sounds are a couple of highlighting features of the product are exceptional video and audio generated due to innovative and cutting edge technologies and high quality components. TCL 24B2500 24 Inch Full HD LED TV offers full HD display for the viewers with a screen resolution of 1920x1080 pixels. 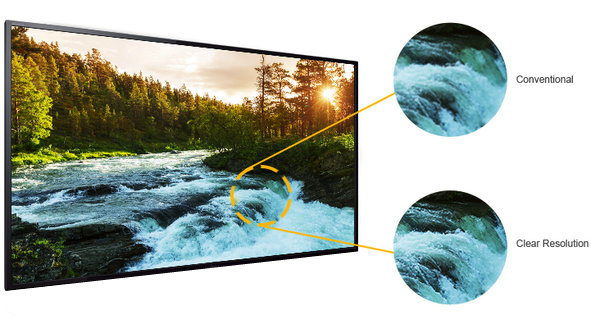 The 61cm TV screen is adequate for viewing images with all details and vivid color presentations. The TV produces high volume audio contents with its built in sound system. It has two speakers and the audio output is 12 watts. Besides LED technology for visual display TCL 24B2500 24 Inch Full HD LED TV also uses hyper real engine and wide color enhancer features. For producing crystal clear and noiseless sound it uses the SRS sound technology. Order the TCL 24 Inch Full HD LED TV​ today and have it delivered to your doorstep within 1-3 working days or same day delivery within Nairobi. Payment on delivery. What's in the Box TV, remote controller, battery, wall mount and user manual.